Update July 19th 2018: Now 85% as per latest report. No, I didn’t use a misleading blog title. 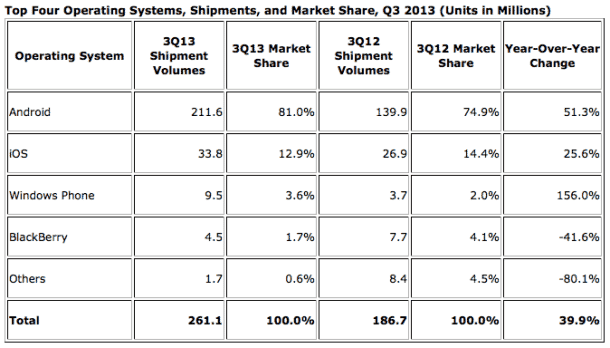 Smartphones powered by Linux are in fact dominating the smartphone market. A few of you may be scratching your heads at this point (stop that, you’ll go bald) while others are filled with that Sound of Music – “The Hills are Alive!” kind of Linux pride! Read on and I’ll provide some pudding, filled with proof that 81% 85% of all Smartphones are powered by Linux. Very often when I meet people outside of work, especially socially, they’ll often ask: “what do you do?”. When I inform them that I’m a Linux Sysadmin, many respond with “I don’t really like Linux because I heard it can’t open or edit word files.”* or “You mean that desktop OS that has all text and no GUI?”** or even “Linux, what is that?? ?” To which I’ll often say with a snide look perched on my face… “you’re using Linux right now on your smartphone”. Yes indeed, as most of you reading this know, Google’s Android (and Chrome OS) are based on the Linux kernel. Android IS an operating system based on the Linux kernel. Or as the Google’s developers put it “Android is built on the open Linux Kernel” [link includes video]. As of November 2013, current Android versions consist of a kernel based on Linux kernel version 3.4.10. Android versions older than 4.0 (Ice Cream Sandwich) were based on the Linux kernel 2.6.x. There’s an informative video about Android’s architecture where Google explains that Android’s Linux kernel has further architecture changes that are outside the typical Linux kernel dev cycle. Google’s open-source chief, Chris DiBona refers to Android as a “Linux desktop dream come true“. Now that we’ve confirmed Android as a Linux distro, lets look at its dominating popularity. A recent study [previous link broken, see updated report here] done by IDC revealed that Google’s Linux distro has a fortified itself in the smartphone market. The study which was released in November 2013 said that a total of 261.1 million smartphones were shipped during that quarter and 81 percent of them were Androids. Have a look at the chart below for more details on current smartphone market positioning by the top four smartphone OS distributors. Ubuntu CEO Mark Shuttleworth, confirmed this month that Ubuntu will be entering the smartphone and tablet OS battle very shorty. With desktop loosing to the popularity and usefulness of smartphones, this is what Ubuntu sees for its future. No doubt this is an important market to port to since Ubuntu can in essence help create an easier bridge to cross for all the other Linux Distros, even if just by publicity and awareness. Imagine buying any smartphone and having the same options as desktop for installing a Linux distro of your choice! Don’t know about you, but I long for that day. To be able to run Arch Linix on my Moto X with a touch specific desktop-environment built by say KDE (Smartphone Edition). Yes, it’s a lot more complicated than that. However, I’m sure you’ll agree that this is a step in the right direction and with more interest, over time the various components which are required for more distros to enter the smartphone market, will be reduced and streamlined. Have a look at Ubuntu’s Touch OS below. Ubuntu Touch (previously Ubuntu Phone) is a mobile version of the Ubuntu operating system that was originally developed by Canonical Ltd. but is now being developed by the UBports community. It is designed primarily for touchscreen mobile devices such as smartphones and tablet computers. Ubuntu Touch is 100% community driven and independent. Purism, the company known for making amazing Linux laptops with a focus on privacy and free software, successfully ran a crowdfunding campaign for a brand new smartphone called Librem 5. They raised 1 million dollars more than the goal. 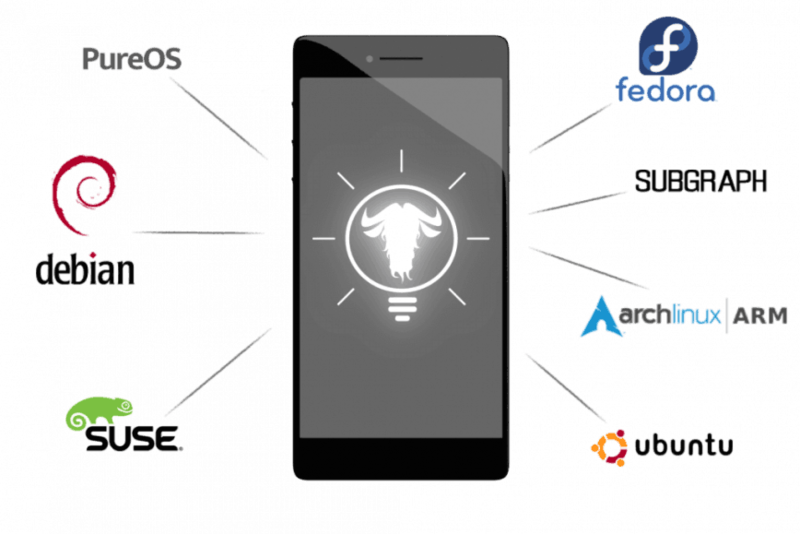 Based on Debian Linux, the Librem 5 smartphone focuses on security by design and privacy protection by default. Running Free Open-Source software and a GNU+Linux Operating System. The Librem 5 phone will be the world’s first IP-native mobile handset, using end-to-end encrypted decentralized communication. You’ll get more access to Linux on a rooted device but for the fun of it lets use the default Android OS and look at what version of the Linux Kernel your Android has installed. I want to ensure this works for all readers so note for most (maybe all) you can view the Linux Kernel version on your Android smartphone by going to “settings” > “about phone”. Step 1) Visit the Google Play Store. Search and install “AnTuTu Benchmark“. Step 2) Launch AnTuTu, bypass the intro screens and select the “Device Info” option from top right. 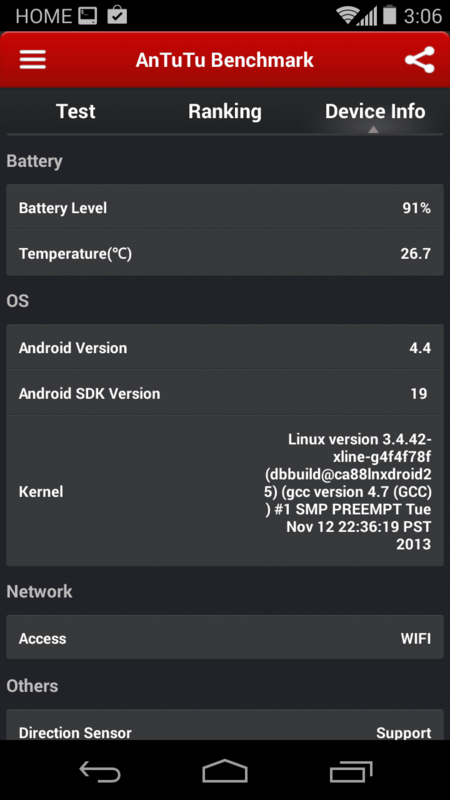 Which will output something like this from my rooted Samsung Galaxy S2 running Cyanogenmod OS lineageos.org. I’m really happy to see how the Android army has invaded the smartphone market. Especially because its very open, so that power-users and developers alike have a level of freedom to explore, develop and break new ground like never before! I’m eager to see Ubuntu have a place in this market and hope that within the next 3 – 5 years other Linux distros will have similar offerings outside of just desktop. Lastly I hope that more smartphone users will become aware of Linux and as such embrace its power and the community that comes with it on their desktops – in-place-of or at least in-addition-to their Windows & Mac desktop solutions. More power to users! * Linux can indeed open AND edit Word files, Excel spreadsheets, etc. on desktops, tablets and smartphones. ** There are more GUI options available for Linux (example. Gnome, KDE, Xfce, etc, etc,) than any other OS out there.